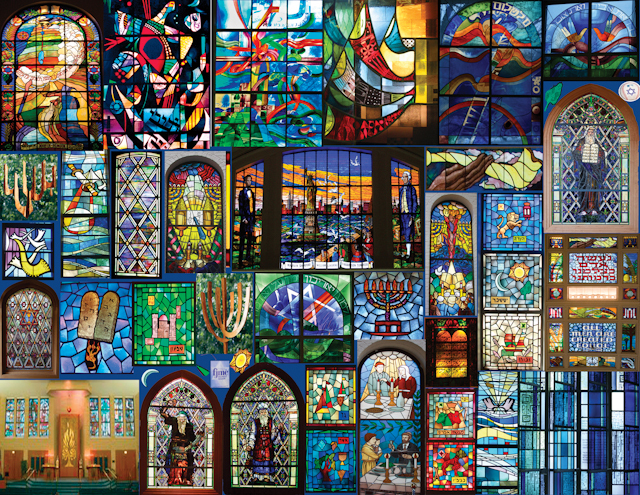 The Midwest Region Note Cards featuring the beautiful stained glass windows of many of our member club’s synagogues are available for club fund raising. There are 10 note cards and envelops in a clear plastic box and a gold ribbon. Each package of cards sells for $7. A picture of the note card front is presented to the left. The interior is blank, thus allowing usage year round. The card packs make great gifts during high holidays, Chanukkah , or other times of the year. The back of each note card has the following statement. 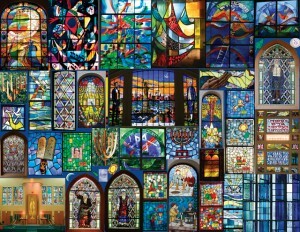 “The Midwest Region is part of the International Federation of Jewish Men’s Clubs (FJMC), an international organization of more than 250 men’s auxiliaries serving 25,000 men across the globe. FJMC’s mission is to involve Jewish men in Jewish life, but our influence goes far beyond men in the Conservative/Masorti Movement. Our programs have a profound impact upon our congregations, the Jewish communities in which we live and Jewry worldwide thru alliances with other international organizations such as Mercaz. Please visit the FJMC website @ www.FJMC.org for further information on all of our programs and relationships. More than 240 packs of cards have been sold by the Region to date. Contact Michael Greenberg to order additional packs.